Date: 16 March, 20 April, 25 May (Saturday). 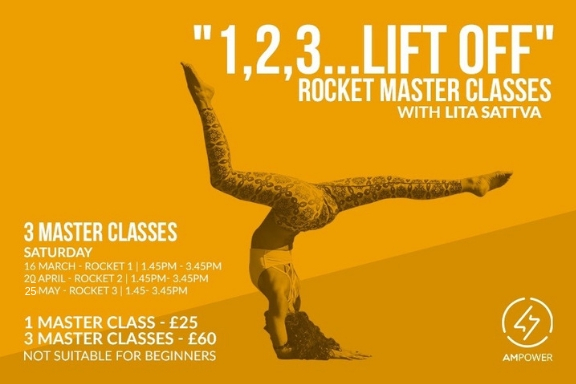 Join Lita Sattva for a series of 3 Rocket Yoga Master classes, where we will enjoy 3 sessions of 2h of Rocket practice each, and explore the 3 Rocket sequences. Each session will focus on a particular sequence but in all you’ll find a dynamic and intense practice through inversion and strong transitions. We will experience a meditative state through movement and breath. We will also touch base in the realm of Kriyas and Pranayama. We will aim to make the sessions challenging, physically and mentally. All sessions will be delivered in english and sanskrit with uplifting music and will include demonstrations and maximum hands on assists. You can choose to attend just one or all master classes, although we recommend you to attend all to have the full experience. There is also a reduced price if you choose the full pack. These Master Classes are not suitable for beginners. Date: 17th to 19th May. Venue: AM Power Yoga, 19-23 Ironmonger Row, EC1V 3QN. Through a three-day workshop of sexual alchemy you will explore your own sexual identity and learn how to purify and unleash your sexual energies. We teach techniques both from the Western and Eastern traditions of sacred sexuality and show how you can use your sexual powers as a means of spiritual attainment. Date: 11th May (Saturday) & 12th May (Sunday). Venue: AM Power Yoga and Fitness, 19-23 Ironmonger Row, EC1V 3QN. Join Madelyn Kent, Developer of Sense Writing, as she brings this groundbreaking neuro-sensory approach to writing to the UK for the first time! This two-day workshop is for both aspiring and experienced writers. As yoga students, we spend all this time exploring the experience of the body and movement. Though many of us feel the potential creativity in these practices, direct applications often remain in the realm of functional or creative movement practices, such as dance or vocal performance. But how can we truly bridge this inquiry into the body and movement to other forms of expression, specifically imagination, language, and writing? In a supportive environment that integrates accessible physical and writing exercises, you will learn to calm your nervous system while unlocking your voice as a writer. Deactivate unnecessary stress responses and bypass anxiety. Find pleasure in all the stages of writing. 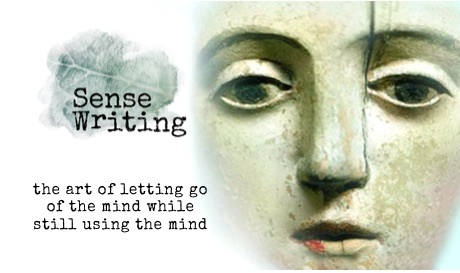 Sense Writing frees you from the thoughts you think you “should” be thinking so you learn to create without anxiety. You will leave the workshop with clear practical skills, as well as a Sense Writing Training© recording to help you continue the practice at home. Date: 16th March, 20th April and 18th May (Saturday). 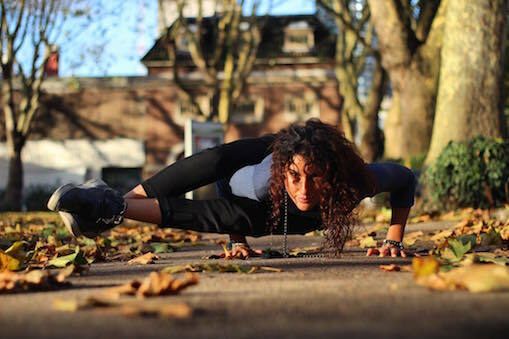 Venue: AM Power Yoga, 19-23 Ironmonger Row, London EC1V 3QN. Join Lita Sattva for 3 Rocket Yoga Master classes, where we will enjoy 3 sessions of 2h of Rocket practice each, where we will explore the 3 Rocket sequences. Each session will focus on a particular sequence but in all you’ll find a dynamic and intense practice through inversion and strong transitions. Venue: AM Power Yoga and Pilates, 19-23 Ironmonger Row, EC1V 3QN. 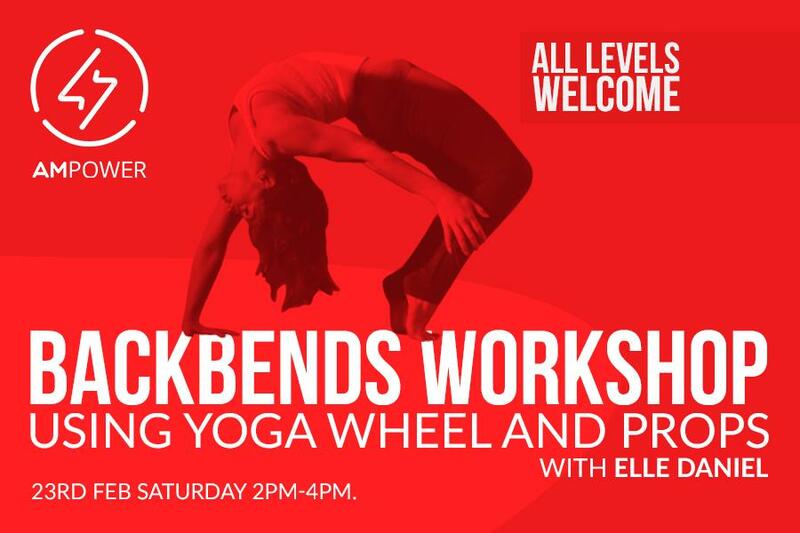 Master the technique of backbends with our unique workshop with Elle. The worksop will focus on the foundations of backbends and progress to deeper backbends, such a wheel variations, drop backs and hollowback inversions. 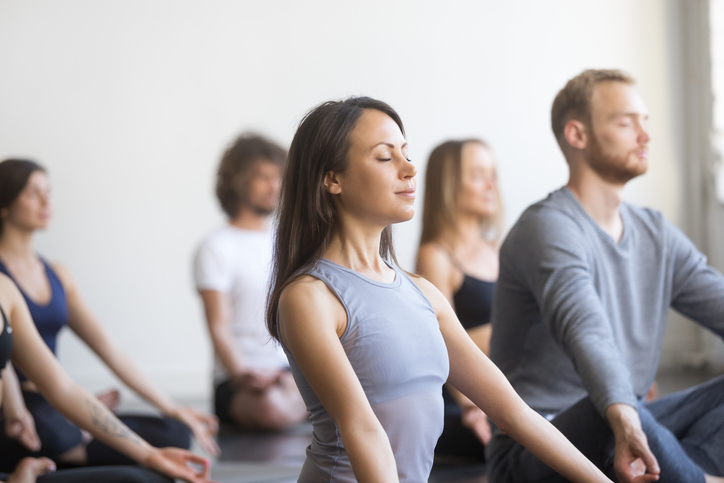 Somatic Movement Workshop for Yoga teachers: Discover how to quickly dissolve muscular tension, improve your posture through simple movements that are gentle, effective and can be practiced by anyone.